Work starts this week on a landmark hotel that promises to reinvigorate city centre development and help Birmingham secure its position as the smart capital of Britain. 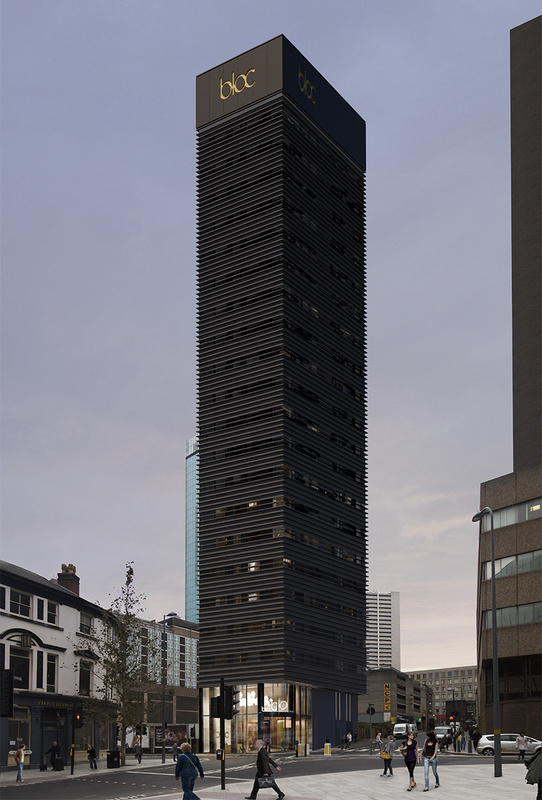 The 22-storey BLOC Grand Central has been designed by award-winning architects Glenn Howells and is entirely funded by private investors. 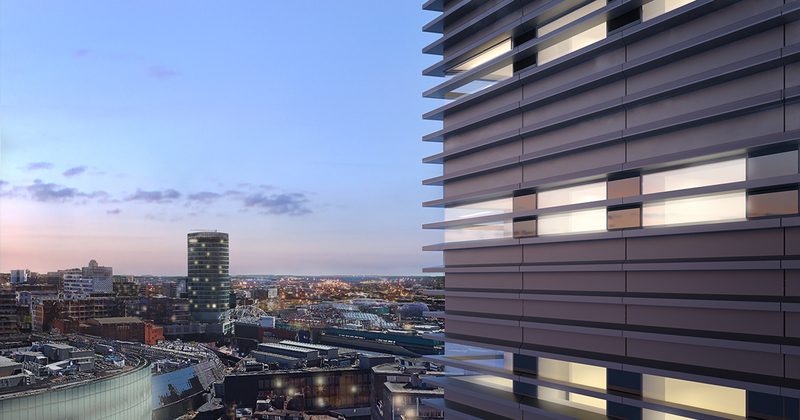 Its high tech design and fit-out will help realise Birmingham City Council’s vision of making the Southside district a vibrant and attractive destination for visitors. The area is at the heart of the council’s Big City Plan – a 20-year project to create thousands of jobs and bring £2billion into Birmingham’s economy each year. BLOC’s new flagship hotel is just 50 paces from the iconic Spanish Steps entrance to New Street Station, John Lewis and the Grand Central shopping precinct. The sleek 226-room hotel will be built on a site currently occupied by a largely vacant 1960s office block. Once completed, the 20-month build will create 40 full-time jobs in the area and support scores more ancillary workers. BLOC’s designers, in conjunction with innovation partners Samsung, have developed a high-tech, smart hotel that matches the aspirations of the area. The Southside development at 32-34 Hill Street is part of an ongoing multi-million-pound investment by the hotel chain in Birmingham city centre. More than 30million tourists visit Birmingham each year and BLOC Grand Central offers affordable, city centre luxury during their stay. Rob Morgan, Managing Director of BLOC Hotels, said: “The BLOC Hotel brand was forged in Birmingham, so the development of Grand Central is particularly special for us. “We are delighted to announce that work has started on this project. It is a defining moment in the company’s ambitious growth strategy. Glenn Howells, of Glenn Howells Architects, said: “We are delighted to be working with fellow Birmingham-based company BLOC Hotels on a truly bespoke building for the heart of the city.